Balkan Heritage Foundation, New Bulgarian University, Bulgaria; Apollonia Pontica excavation team: National Institute of Archaeology and Museum, Bulgarian Academy of Sciences, Archaeological Museum of Sozopol. 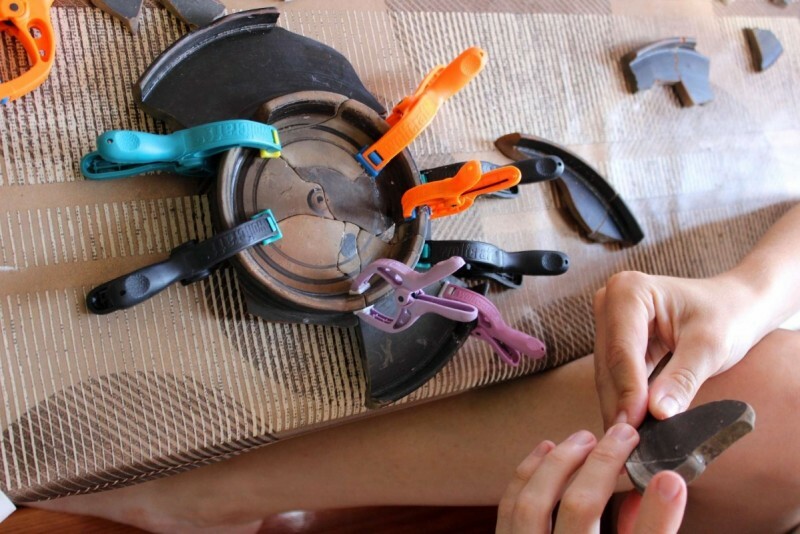 The Workshop for Conservation of Ancient Greek Pottery will guide the participants through the history of the ancient Greek pottery and the process of pottery conservation, restoration, documentation and study. 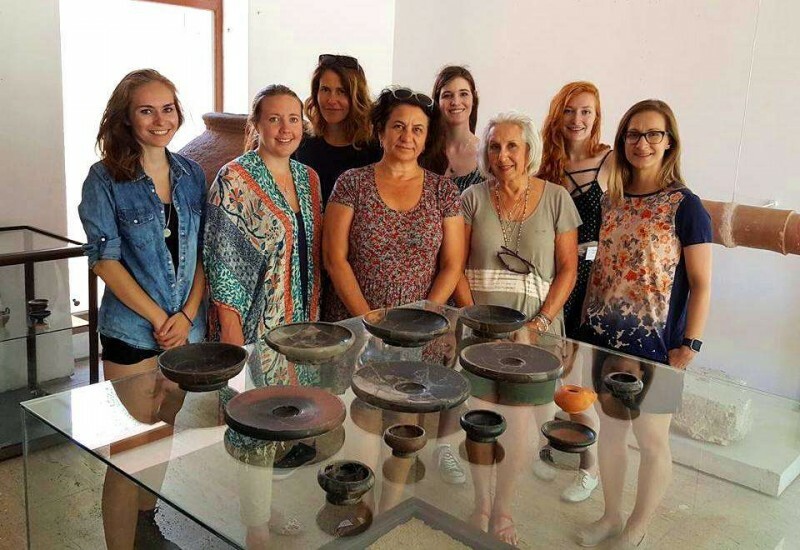 Both the theoretical and practical courses will be based on ancient Greek pottery found in Sozopol (the ancient Greek city of Apollonia Pontica on the Black Sea Coast ). The course includes three modules: 1) practical work in conservation of ancient pottery (involving authentic pottery shards found in the necropolis of Apollonia Pontica); 2) lectures on topics related to the archaeological context of conserved vessels and to conservation process of ancient Greek pottery; 3) excursions to the ancient coastal towns of Nessebar (UNESCO World Heritage Site) and a sightseeing tour of Sozopol (including study visits to their archaeological museums). 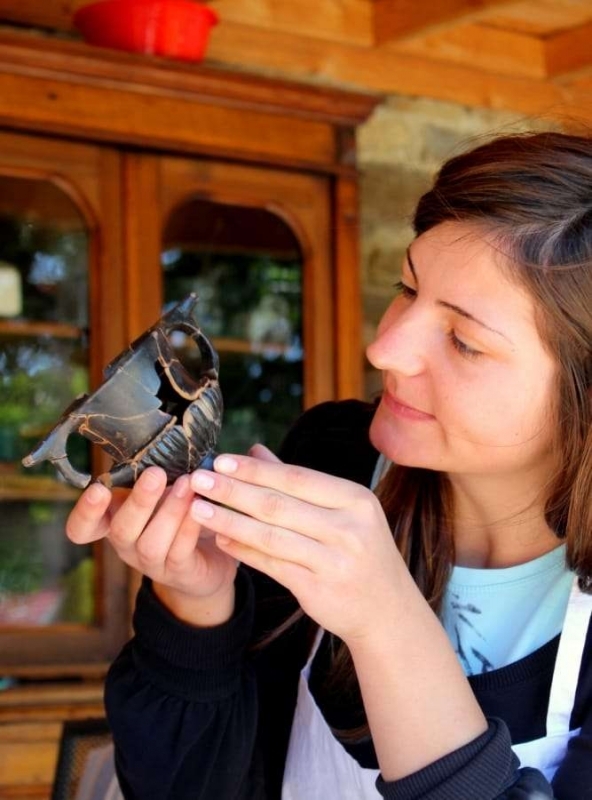 meet professionals, who work in the areas of Classical Archaeology and Pottery Conservation and Documentation. The workshop has taken place since 2009. The instructors and the students have conserved more than 180 Ancient Greek vases. Apollonia Pontica (present-day Sozopol, Bulgaria) is one of the most ancient towns on the western Black Sea coast. The city, founded by Miletian colonists around 610 BCE, was named Apollonia Pontica, in honor of the patron deity of Miletus - Apollo. The Ancient authors identify the philosopher named Anaximander as the founder of the city. It became an autonomous and strong democratic polis and important trade center between Ancient Greece and Thrace. Thanks to its strong navy and naturally protected harbors, Apollonia kept control of the major merchant road along the western Black Sea Coast, called Via Pontica, for several centuries. The city preserved its independence during the campaigns of Phillip II of Macedon (342-339 BCE) and Alexander the Great (335 BCE) but in 72 BCE it was conquered, pillaged and burned by the Roman legions of Marcus Lucullus. The victors took the most prized trophy to Rome: the colossal statue of Apollo. The city succeeded in restoring its former glory and was known in the Roman World as Apollonia Magna (Great Apollonia). Following the Christian mainstream tradition, its name was changed to Sozopol in the 4th century CE. Despite the damage, it survived the period of the Great Migration of People (4th - 7th century CE) and entered the Middle Ages as a focal point of long-lasting Byzantine-Bulgarian conflicts. The large necropolis of Apollonia Pontica, dated to the 6th - 2ndcentury BCE and 4th - 6th century CE, is Sozopol's most important archaeological site today. The collection of ancient Greek vases from the necropolis is among the richest in the world. The most representative part of it is kept in the Archaeological Museum – Sozopol, Bulgaria but some artifacts are now in the Louvre Museum (Paris, France), the Hermitage Museum (St. Petersburg, Russia), the Pergamon Museum (Berlin, Germany) and the National Museum of History, Sofia, Bulgaria. The vessels for conservation originate from the cult fireplaces in the necropolis. 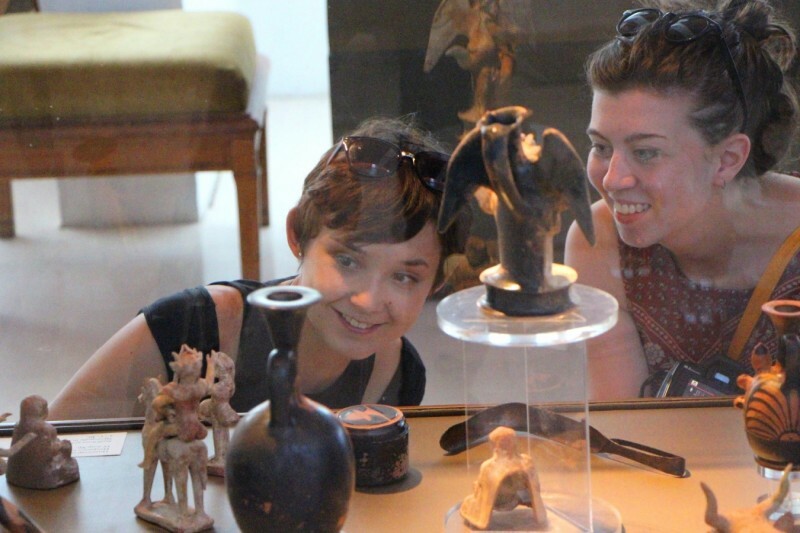 They are provided by the Archaeological Museum – Sozopol, Bulgaria. The workshop’s main initiative is to conserve pottery from these specific contexts. Major field school topics/activities: The workshop will guide the participants through the process of the Ancient Greek pottery conservation, restoration, documentation and study. 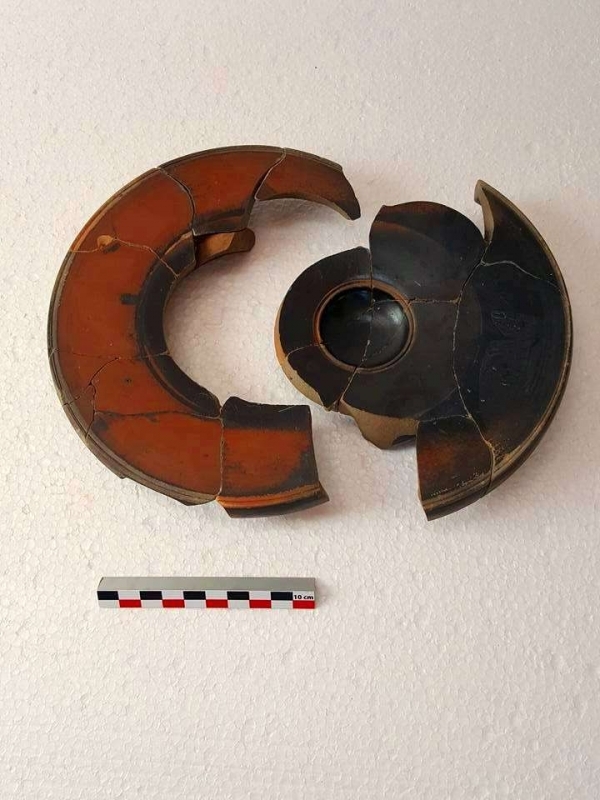 Both the theoretical and practical courses will be based on pottery found in Sozopol, the Ancient Greek colony Apollonia Pontica on the Bulgarian Black Sea coast. Excursions to significant heritage sites along the Bulgarian Black Sea coast are included in the program. Academic credits are available through NBU, Bulgaria. No. The workshop is suitable for both beginners and advanced (either students in Historical & Art conservation or volunteers). Individual programs for experienced students. Accommodation: Accommodation is either at Dom Mladenovi guest house or at VMK Military Club, both of which have comfortable ensuite rooms with two to three beds, bathrooms with shower and WC, a/c, refrigerators, TV. The hotels are located very close to the town beaches, the Old Town Quarter, the Archaeological Museum and within 15 min walking distance from the archaeological site. Wi-Fi is available on the first floor of the lobby area. Staying an extra day costs 25 EUR. Single rooms are available upon request for an additional fee of 110 EUR per week. Alternative more luxurious accommodation (single, double or triple rooms) is available for an additional fee of 120 to 180 EUR per week upon request at Villa Kera. Places are limited. For those who prefer higher class accommodation, the BHFS recommends the following hotels in Sozopol: Hotel Casa del Mare and Hotel Fiesta. All participants who organize and pay extra for their own accommodation will receive a discount of 75 EUR (per week) off the admission fee. Participants must pay on their own for extra days and for single room accommodation! Meals: Daily breakfast and the official welcome and the farewell dinners are covered by the admission fee. Students are responsible for their own lunch and dinners. Sozopol offers variety of restaurants that can meet everyone’s preferences and dietary requirements – from fast food options to cozy gourmet restaurants. The average meal price (soup/salad, main dish and dessert) can cost between 6 to 12 USD. The project team will recommend restaurants for different preferences (cuisine, cost, dietary needs) and will arrange discounts for the students. The Admission fee includes: educational and fieldwork activities, bed & breakfast, tools, materials, project Handbook, issue of Certificate of Attendance, excursions/sightseeing tours/entrance fees and administrative costs. The Early Bird (by January 31st, 2019) admission fee for the Project is 1149 EUR (approx.1344 USD). Regular Admission Fee (after January 31st, 2019) is 1299 EUR (app.1519 USD). Number of credits offered New Bulgarian University grants 6 ECTS credits to students for attending this project. NBU tuition fees for six academic credits are as follows: for EU students – 300 EUR; for all other international students – 450 EUR Participants who are not interested in academic credits don't need to pay the tuition fee. Boardman, John. The History of Greek Vases: Potters, Painters and Pictures, 2006, Thames & Hudson. Bouzek, J. Studies of Greek Pottery in the Black Sea Area. Oxford, 2003. Cherneva, D. Investigations on the Gilding Technology of Antique Ceramics from Apollonia Pontica. Archaeologia Bulgarica, XVII, 2, Sofia, 2013, 39-53. Cherneva, D. Archaeological glass from a mound in Pamuklia (Bulgaria),1st -2nd century AD: Identification, damage phenomena and conservation, Poster, 17th Triennial Conference ICOM-CC, 2014 Melbourne, Australia. Cook, R., P. Dupont. East Greek Pottery. London, New York, 1998. p. 1-10; 26 – 70; 77 – 94; 129 – 131; 192 – 206. Cook, Robert Manuel. Greek Painted Pottery (Handbook of Archaeology), 1997, Routledge. Panayotova, K. Burial and post-burial rites in the necropolises of the Greek colonies on the Bulgarian Black Sea Littoral. - In: Ancient Greek Colonies in the Black Sea - 2, vol. I. BAR International Series, 2007, 87 – 126. Pavlova, L., D. Cherneva, N. Velinov. Study on Red-figure Ancient Ceramics. - In Proceedings of the University of Chemical Technology and Metallurgy, Sofia, 2011. Pena, J. Theodore. Pottery in the Archaeological Record, 2007. Sparkes, Brian. Greek Pottery. The Introduction., 1991, Manchester University Press.